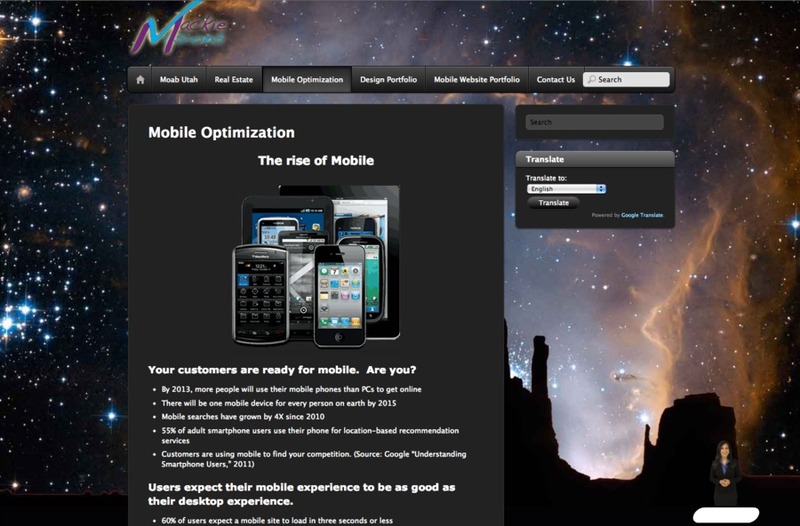 We specialize in mobile-optimized websites (Mobile First!) and real-estate website employing SEO/RETS. At Mackie Visions, we don’t take the cookie cutter approach to website design, each website is designed specifically for the individual client. You know your business, your products and your services better than we do - our philosophy is to listen to you, learn about your business, products, services and your goals. We will then help you identify the role that the website will play in your business. We will discuss with you any opportunities that your website could bring that perhaps you were not aware of. Together, we will define both short term and long term goals for your website. Once we understand the big picture, we will use our expertise to translate who you are, what you do, and your goals into an original, eye catching, affordable and easy to use website that you can truly call your own. We provide a full turnkey solution, including: SEO, programming, hosting, photography and content creation. Screenshot of new MackieVisions.com site. Every site we create is very tailored to the "personality" of the business and their audience.